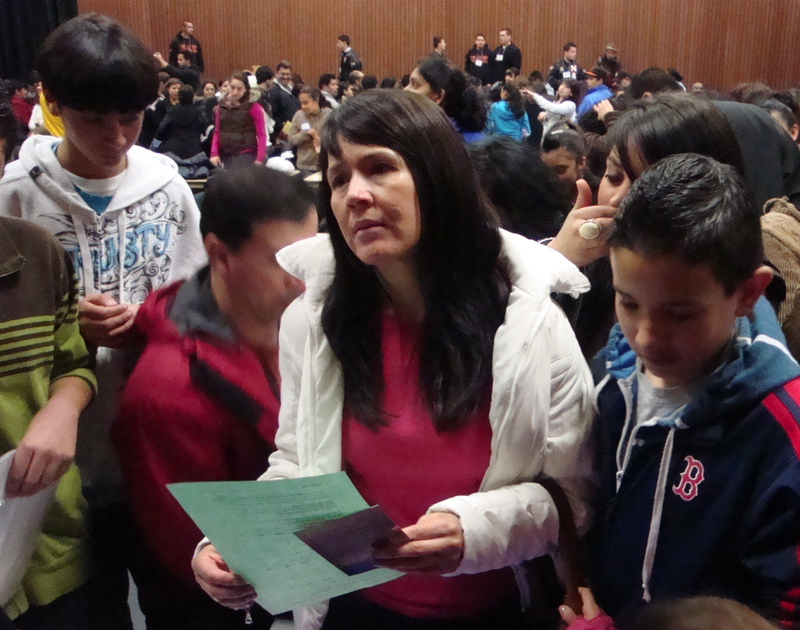 More than 600 Latino parents and students from grades 7-12 are expected to attend the fifth annual Latino Family Summit on Saturday, March 17, to explore the world of higher education at Sonoma State University. Check in is 8-8:50 a.m. in front of Evert B. Person Theatre and the entire event runs from 9 a.m. to 2 p.m. Translators will be provided for any Spanish-speaking students upon request, and workshops for parents will be conducted in Spanish. "This program provides the opportunity for many parents to have their first experience on a college campus," says Magali Telles, Outreach Specialist and one of the main coordinators of the event. "The middle and high school students are able to experience workshops where they can identify with other SSU Latino students who have overcome financial, personal and residency obstacles in order to reach their academic goals. We also cover issues that are not commonly addressed in schools such as cultural empowerment." Student workshops, including "How to Get to College," address the importance of higher education, financial aid and leadership. Parent workshops, such as "How to Pay for College" and the "Parent Panel," are designed to disseminate information on how to become an active participant in their child's schooling as well as how to assist them during their college application and selection process. "Workshops are geared towards engaging younger Latino youth with the hopes of inspiring them as well as serving as role models and a testament that other low-income, first generation college students can be successful in higher education", says Telles. Parents and students will also have an opportunity to learn more about the departments and programs at SSU while taking a tour of the campus, as well as gain insight into importance of internships and building relationships with professors. Seventh and eighth grade students can participate in separate workshops with topics ranging from "Study Skills" to "Cultural Empowerment." Children under 12 are welcome to attend the event and will be entertained with games, contests and other activities. The event drew more than 600 people last year and is sponsored by the Office of Admissions and Student Recruitment with assistance by the members of Lambda Theta Nu Sorority, Nu Alpha Kappa Fraternity and other on-campus Latino organizations. Music, food and entertainment will also be provided. For further information, contact Magali Telles, Outreach Specialist, Office of Admissions and Student Recruitment, at (707) 664-2617.